LOS ANGELES – The Los Angeles Kings have named Terry Murray as the club’s new Head Coach, Kings President/General Manager Dean Lombardi announced Thursday at a press conference at the Toyota Sports Center in El Segundo. Click here to watch the press conference. Murray – formerly the Head Coach of the Washington Capitals, Florida Panthers and the Philadelphia Flyers, where he led that club to the 1997 Stanley Cup Finals – has signed a multi-year contract to coach the Kings. He replaces Marc Crawford, who coached the Kings the past two seasons and was relieved of his duties on June 10. 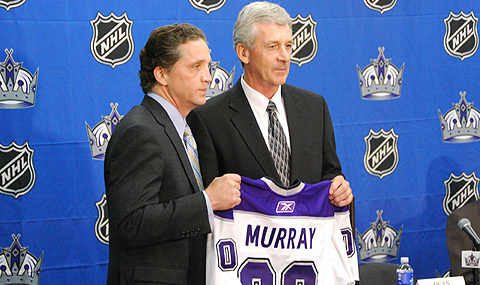 Murray becomes the 22nd head coach in Kings history. Murray led the Flyers to the Stanley Cup Finals in 1997. Murray, who turns 58 on Sunday, has spent the past four full seasons as an Assistant Coach with the Flyers, an organization he has worked for as a Head Coach, Assistant Coach, Pro Scout and player. This past season he helped the Flyers record 95 points and advance to Eastern Conference Finals after earning 56 points in 2006-07. As the Head Coach of the Flyers for three seasons (1994-95 through 1996-97), Murray compiled a 118-64-30 record. In addition to the 1997 Stanley Cup Finals/Eastern Conference Championship, Murray coached the team to two Atlantic Division Championships (1995 and 1996). He began his NHL head coaching career with Washington for five seasons (1989-90 through 1993-94) and compiled a 163-134-28 record with the Capitals. In his first season he helped lead the Capitals to the Eastern Conference Finals. Murray also coached Florida for three seasons (1998-99 through 2000-01) and compiled a 79-90-31 record, which included a franchise-record 98-point season and a team-record 43 wins in 1999-00. In all, Murray has guided his club to the playoffs in nine of his last 10 seasons, and he has a 46-43 playoff record as a Head Coach. 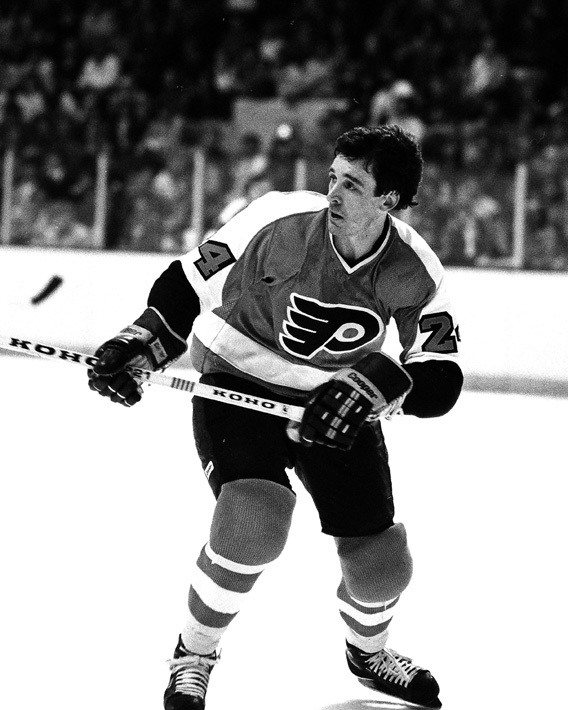 Murray played in 302 NHL games with the Capitals, Flyers, Red Wings and Golden Seals. Murray has also coached as an Assistant Coach with the Capitals (1983-84 through 1987-88); as Head Coach with the Baltimore Skipjacks of the American Hockey League (from 1988-89 through 1989-90); and as Head Coach with the Cincinnati Cyclones of the International Hockey League (1993-94). As an NHL defenseman, Murray played in 302 career NHL regular season games over eight seasons with Washington, Philadelphia (two stints), the Detroit Red Wings and the California Golden Seals/California Seals, who originally drafted Murray in the seventh-round (88th overall) of the 1970 NHL Amateur Draft. He recorded 80 points (4-76=80) and 199 penalty minutes during his NHL career and he also played in 18 career NHL playoff games, recording four points (2-2=4) and 10 penalty minutes. A native of Shawville, Quebec, Terry and his wife Linda have two daughters, Meaghan and Lindsey.